Ramat Gan, Israel, November 28, 2018: Registration for the next International Diamond Week in Israel (IDWI), to be held January 28 – 30, 2019, is proceeding at a brisk pace, according to the Israel Diamond Exchange (IDE) which is organizing the event. IDE noted that buyers had registered from all corners of the globe and included a high percentage of new participants. Moreover, official delegations are being organized from major bourses around the world. 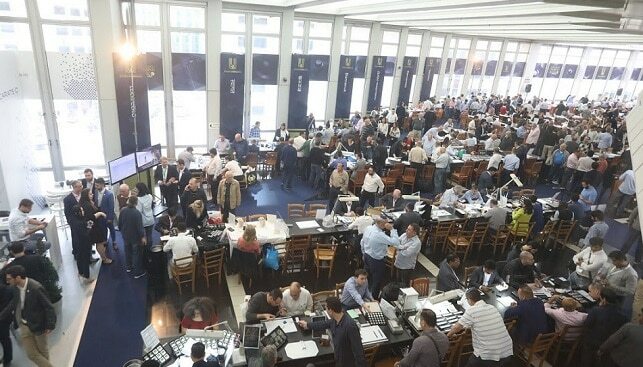 IDWI will take place on the immense trading floor of the Israel Diamond Exchange (IDE) and will feature 200 Israeli exhibitors of polished diamonds, with huge amounts and varieties of goods on offer. This year IDWI will also feature a section devoted to high end diamond jewelry manufactured by Israeli diamond companies, who in addition to loose diamonds now offer top quality jewelry collections. IDWI has become an important annual attraction for the global diamond industry because of the amount and variety of goods offered and the minimal costs. IDWI Chairman Ezra Boaron said: “We are thrilled to see the excitement that this show generates. The event sells itself, attracting hundreds of buyers from dozens of markets. The next show is shaping up to be the biggest ever. We invite you to join us. Register now and secure your place”.